Whether a natural born creative or an educated art student, finding a job that both fulfills creative impulses and allows us to meet our financial needs, seems like a dream. But there are a lot of jobs out there for those who love to draw. Check out these careers and see what you need to do to get your foot in the door. 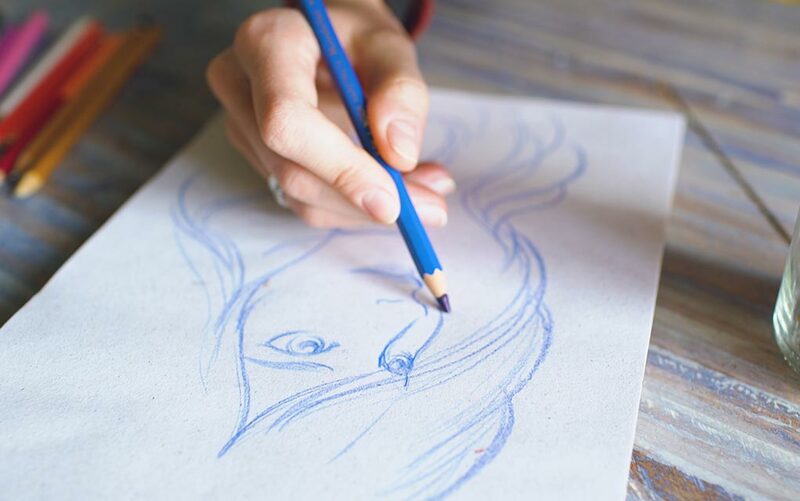 Taking a passion for drawing and turning it into a lucrative career is something most creatives only dream about. The good news is, there are places that would love to pay you for your artistic ability. Many require a college background and experience while but at others you just have to provide a stellar portfolio. Bring your creative genius to the table and score a position where you can show off your skills. Fascinated with home design and the construction process? A career as an architect can help you become well known in your community. Architects brainstorm with property owners to come up with architectural specs of a home or building. If you have creative vision and are able to work well with people, this is a career to consider. For a leg up, consider implementing sustainable or eco-based home design and technology. This can give architects an advantage with new home builds. Many architects make $78,000 on average per year according to The Bureau of Labor Statistics. A bachelor’s degree is required and then you’ll need a license to practice in your state. Some of the most famous animators, like Walt Disney and Chuck Jones, got their starts drawing a few sketches on paper. They turned these sketches into multimillion-dollar characters. For the drawing enthusiast with an eye for character design and style, animation is a good career to explore. Digital animation is the current standard behind most creations, so that will take some schooling. But the real foundation is the ability to come up with fresh ideas. If this is your passion, go to school to learn CAD and then get a job where you can share your creations with the world. Paris fashion week is an event that showcases the very best fashion designs in the world. Some of those designs are the brainchildren of new and up-and-coming fashion designers. This could be you. If you have a knack for drawing, and an eye for the way fabric moves on the human form, this is the job for you. An associate’s degree in merchandising or bachelor’s in fashion design will help teach you the fundamentals of clothing, style and CAD drawing. The income of fashion designers can start at around $65,000 per year. Building a home is one thing, but creating true curb appeal and giving it a finishing touch means incorporating the perfect landscape. That’s where a landscape designer comes in. Having an eye for erosion issues, plant placement and the creation of both landscapes and hardscapes, a landscape designer comes up with different options for property owners. This profession entails more than suggesting what goes where it takes a multifaceted vision to generate plans unique to each property. Graphic design and drafting experience are required for this job. But for those who love both nature and design, this profession can allow an enticing mix of outdoor time to balance that desk time. For creative artists who can bring their ideas to life through professions that create unique spaces or things, it’s more than just a job, it’s a gift they give to others. These are careers that not only pay well but which move drawing off the walls and out of the sketchbooks and into our lives and spaces.